You’ve seen GEN’s list of the top 20 best-selling drugs of 2012, but what brand new drugs have come out over the past year that are worth watching? 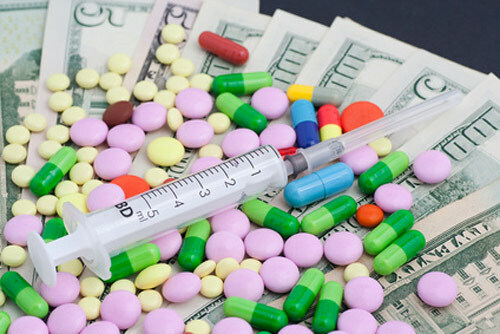 Here are top 20 best-selling drugs that were approved and launched during 2012, ranked by their 2012 sales. Data on 2012 comes in most cases from the companies themselves, except where otherwise noted. Drugs are listed by both trade name and generic or active pharmaceutical ingredient name. Accompanying each listing is the marketer(s) of the drug, the drug’s indication, and date of FDA and/or European Commission approval. Indication(s): Moderately to severely active rheumatoid arthritis in adults who have had an inadequate response or intolerance to methotrexate. It may be used as monotherapy or in combination with methotrexate or other nonbiologic disease-modifying antirheumatic drugs (DMARDs). 1 No sales figure announced by company; figure reported by Zacks Investment Research, though Xeljanz sales were reported at $18 million by EvaluatePharma. 2 No sales figure announced by company; worldwide sales figure reported by EvaluatePharma. 3 No sales figure announced by company; worldwide sales figure reported by EvaluatePharma. 4 Sales figure converted to USD via XE (www.xe.com) on April 4, 2013. 5 No sales figure announced by company; worldwide sales figure reported by EvaluatePharma. 7 No sales figure announced by company; figure reported by Zacks Investment Research; EvaluatePharma reported $7 million in Bosulif sales for 2012. 8 No sales figure announced by either company; worldwide sales figure reported by EvaluatePharma. 10 Sales figure converted to USD via XE (www.xe.com) on April 4, 2013. 11 Sales figure converted to USD via XE (www.xe.com) on April 4, 2013. 12 Sales figure converted to USD via XE (www.xe.com) on April 4, 2013. 13 Figure does not include Onyx’s 20% royalty received on Bayer’s global net sales of Stivarga in human oncology. For full-year 2012, Onyx reported receiving $8.3 million in royalty revenue. 14 Sales for 2012 furnished to thousandths by Gilead Sciences. 15 Sales figure converted to USD via XE (www.xe.com) on April 4, 2013. 16 No sales figure announced by company; figure reported by Zacks Investment Research, citing its Zacks Model; EvaluatePharma reported a 2012 sales figure for Inlyta of $70 million.